It's been a little while since this town has hosted a film festival, but just like that, Cinema St. Louis and Gateway Foundation plug the gap with Cinema at Citygarden. The biennial program invites filmmakers to create new works on a single theme to enter in a juried competition. This year's theme is Nature, and the winning entrants are David Rocco ("Summer Louis"), Natalie Rainer ("Hypervide") and Yihuang Lu ("Ocean Breathes"). 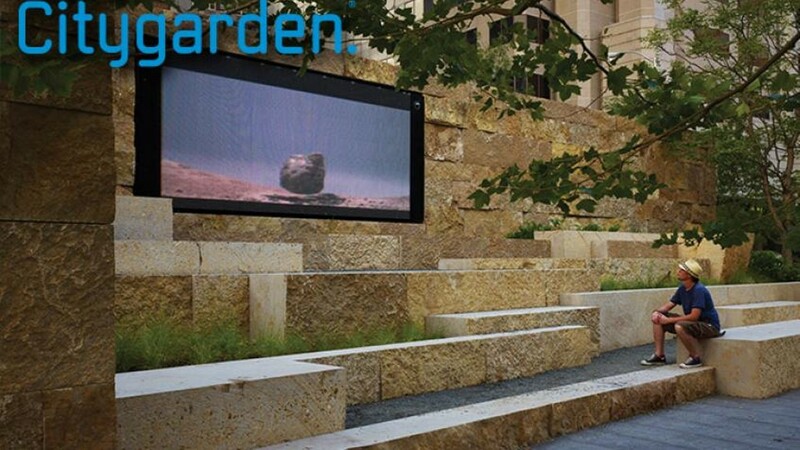 Their films, along with entries from Zlatko Cosic, Yuhan Zhang and Cole Hieronymus, and a handful of other filmmakers, will screen from 5 to 10 p.m. daily (Friday, May 26 to Friday, June 30) on Citygarden's video wall (801 Market Street; www.citygardenstl.org). Admission is free.